I recently took a trip to my local library to hunt down some books on sewing with knits. I did find a bit of information that helped me research my post on sewing with knits, but I also found this little gem. A beginning sewing book that includes 10 free patterns. I love free patterns, and it is always nice to try something new. 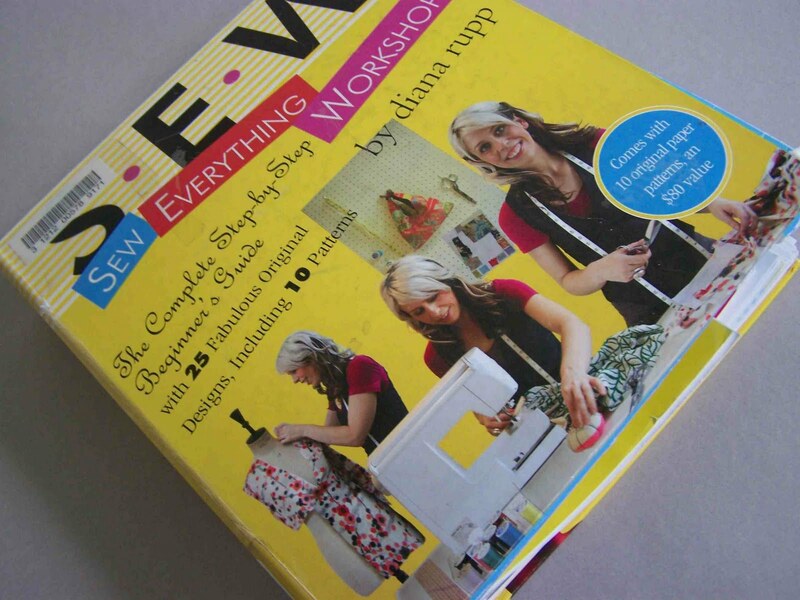 The book is S-E-W, Sew Everything Workshop by Diana Rupp. As you can see the book itself was a bit beat up. I wasn't quite sure what I'd find inside the box of patterns. I expected there to be missing patterns, and cut up patterns, but to my delight every pattern was nicely folded and in it's original form. 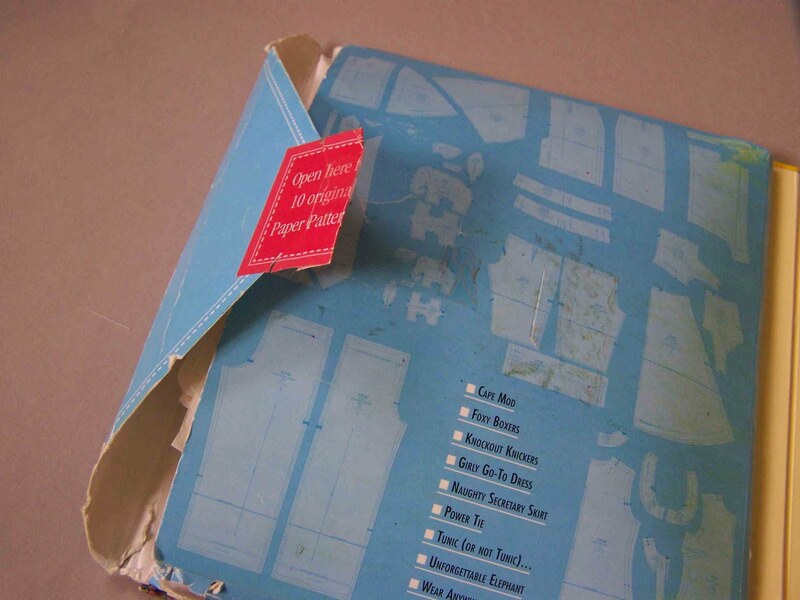 The book includes a variety of patterns including a wrap around skirt, a naughty secretary pencil skirt, a cape mod pattern, an elephant stuffy, yoga pants, boxers, a power tie, and many more. 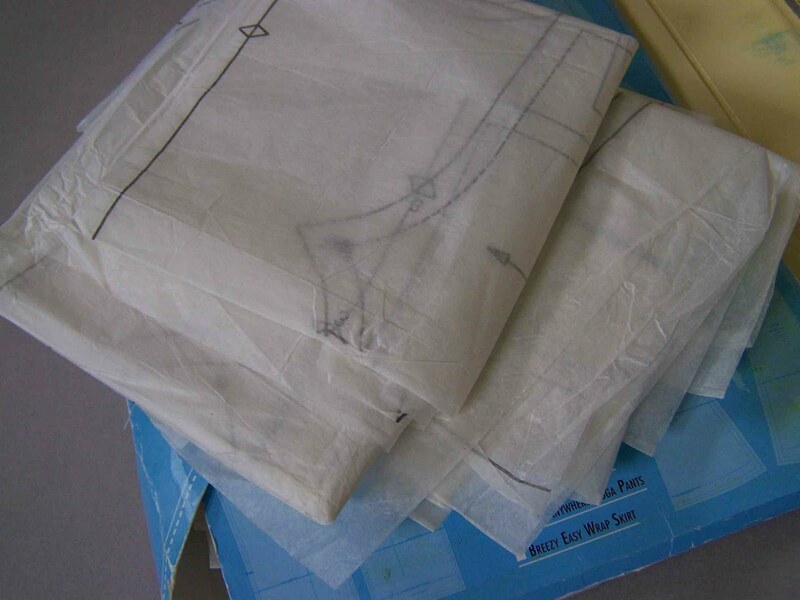 Apart from the paper patterns there are several written patterns that include dimensions for additional projects. Honestly, I wanted to sew my way through the book, but I knew I'd never make any headway on my TO DO list. So I picked out a couple of patterns that I was interested in making (and that I had available fabric for) and set to work. I chose to make a project from one paper pattern and one dimensional pattern. Power Tie Instructions-Notice the Purple Gingham? The paper pattern that I used was for the Power Tie. 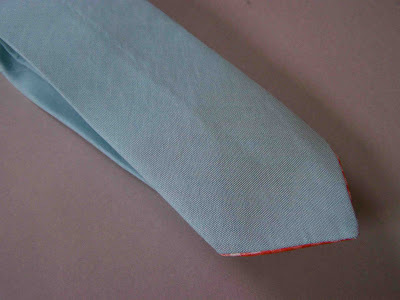 This was my first attempt at making a men's neck tie, and possibly my last. The pattern itself was great, and the instructions were easy to follow, but man do I hate turning fabric. A neck tie seemed to me that it would be a quick and easy project, but turning the tie itself took me far more time than I would like to spend on one project. 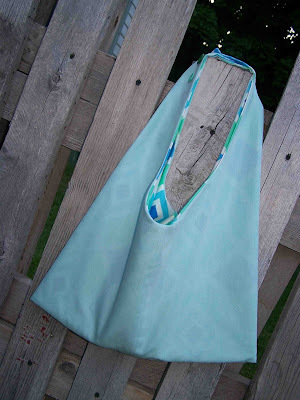 I had chosen to use a really inexpensive fabric to "try out" the project. I had intended on making a second version with some nicer fabric when I was convinced that the tie would turn out the way that I'd hoped. I probably won't end up making a second version, but oh well, at least I didn't spend a whole lot of money on the first. 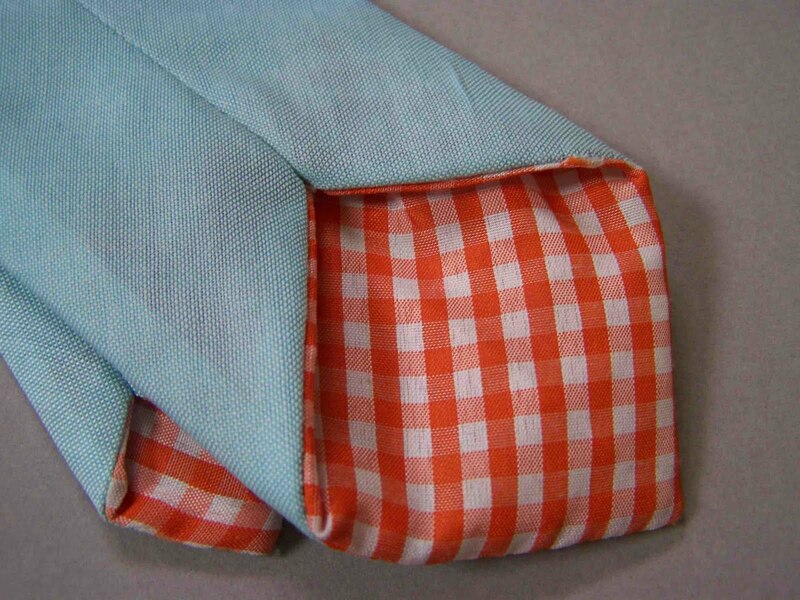 Notice the gingham check on the lining. Diana used a purple gingham on her tie and I decided to reference that in my version. You'll probably see more gingham in the coming week. The second pattern that I decided to try was the Tokyo Tie Bag. This was the pattern with dimensional instructions. I took the liberty to adjust the dimensions to the sizes that I wanted. I also made a few tweaks to the bag itself. The original version ties at the top of the bag (it is quite cute), but I didn't feel like tying my bag at the time. I decided to make the edges of the ties a bit more blunt, and to attach the shoulder strap with some buttons. 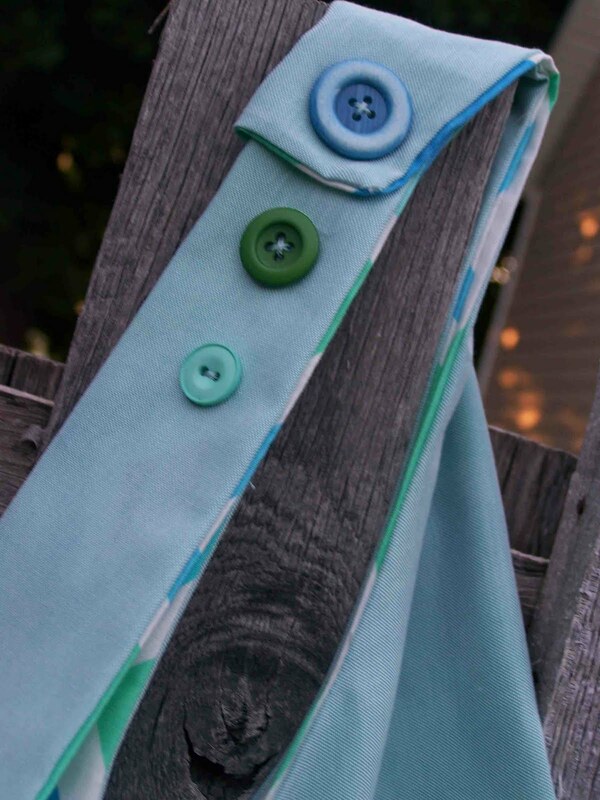 I used three buttons in varying sizes that coordinated with my fabric lining. I really like the way that the bag turned out. I would definitely make an additional bag. 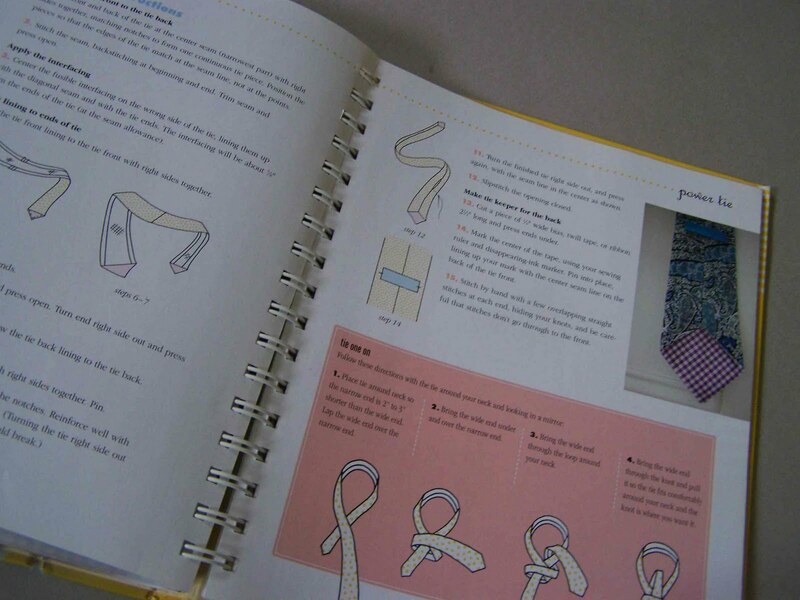 I had a lot of fun looking through this book and trying out a couple of Diana's patterns. I think that I'll have to head back to my library and see if I can find any additional books with free patterns. Does anyone have any suggested reads? Does anyone know of any free patterns for toddler bow ties?